Is your house an asset? know it from Robert Kiyosaki, the famous author of Rich dad, Poor Dad. L&T Finance Holdings priced its initial public offering (IPO) near low end of the price band, raising $252 million in a market that has seen fewer new issues so far this year due to weak markets. Major bulk deals executed by Mutual Funds in Indian stock Markets in the month of July 2011. Badla was an indigenous carry-forward system invented on the Bombay Stock Exchange as a solution to the perpetual lack of liquidity in the secondary market. Badla were banned by the SEBI in 1993 (effective March 1994), amid complaints from foreign investors, with the expectation that it would be replaced by a futures & options exchange. Such an exchange was not established and badla were legalized again in 1996 (with a carry-forward limit of Rs 20 crore per broker) and banned again on July 2, 2001, following the introduction of futures contracts in 2000. As of Thursday, not only has Congress failed to reached a deal concerning the increase of the debt ceiling but at this point their not even close to a compromise. 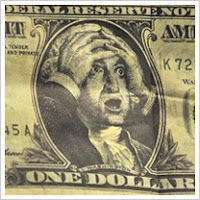 With August 2nd, the date at which Treasury Secretary Tim Geithner says the US will default, only four days away the situation is getting scary. Republican leader, House Speaker John Boehner, is pressing forward with a short-term plan that increases the debt ceiling by $1 trillion. However, President Barack Obama has continuously threatened to veto any bill that is short term and is looking for an increase of $2.4 trillion to the debt ceiling. Thus, it seems that going into the weekend Washington DC is at an impasse. So what could happen if no deal is reached and the US defaults on its debt? ICICI Bank has declared its first quarter result. It has reported a sharp jump of 30% (YoY) in profit. During the period, net profit of the bank increased to Rs 1,332 crore against Rs 1,026 crore in the corresponding quarter of last fiscal. However on QoQ basis the net profit came in lower by 8.3% as the bank did a net profit of Rs. 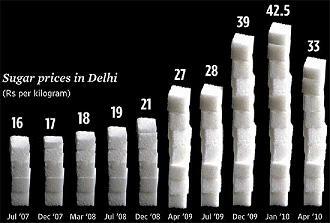 1452 crores in Q4 of fical year 2011. Bharti Airtel , India's top mobile carrier, has raised call prices by up to 20 percent for prepaid users in some of its Indian telecoms zones, signalling a possible end of the telecom tarrif war. Yahoo has posted a 11% rise in net income to $237 million for April-June 2011. The company had registered a net income of $213 million in the second quarter ended June 30, 2010. However net revenues fell by 5% vis-a-vis the year-ago period to $1.08 billion in the quarter under review, dragged down by a drop in display advertising sales. Shares of drug-maker Lupin Ltd fell sharply on the bourses today after the company disclosed that renowned investor Rakesh Jhunjhunwala has lowered his stake in the company by more than half through the sale of stock currently worth over Rs 300 crore. Crompton Greaves had fallen more than 25% on huge volumes in just 2 trading sessions from Rs. 242 on 18th July to Rs. 178 on account of poor quarterly numbers and seems to be technically oversold. The RSI indicator had fallen below 20 levels which suggest that there might be a bounce back in the counter any time soon. Wipro today reported a growth of 1.23% in consolidated net profit for the quarter ended June 30, 2011, to Rs 1,334.9 crore. Net income from sales during the reporting quarter stood at Rs 8,564 crore, as against Rs 7,236.4 crore in Q1FY11, up 18.34%. Technology giant IBM has reported an 8.28% growth in net profit for the June quarter for current fiscal against $3.38 billion in the year ago period.Total revenue rose 12% vis-a-vis the year ago period to $26.7 billion. Billionaire Mukesh Ambani-controlledReliance Industries is conducting an advanced due diligence exercise on telecom services provider Aircel, three people said on condition of anonymity. Reliance Industries has completed at least three rounds of due diligence on Aircel and may offer to buy a controlling stake in the company if talks between the two sides result in a deal. Zee Entertainment announced today that they will undertake Rs. 700 crore share buyback programme at a price not exceeding Rs 126 per equity share. Angel Broking is bullish on South Indian Bank and has recommended the stock with a target of Rs 26 in its July 15, 2011 research report. Currently, the stock is trading at moderate valuations of 1.2x FY13E Adgusted Book Value. HT Media reported 67% jump in net profit at Rs 52.81 crore for the quarter ended March 30, 2011.For the same quarter of the previous financial year, the company's net profit was Rs 31.67 crore. 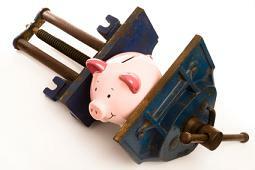 Only 8 banks failed in the European bank stress-test out of the 90 lenders reviewed. Out of the failed banks five were in Spain, two in Greece and one in Austria. The banking regulators say the eight test flunkers will need to raise a mere 2.5 billion euros ($3.5 billion) in fresh capital by year-end. Almost no one believes that’s all it will take to shore up Europe’s troubled institutions, especially if Greece or another of Europe’s fragile economies defaults on its debt, which looks increasingly likely. Today, on July 15, 2011, not one but 12 index (Sensex) stocks zoomed 20% in early trades. Alas! 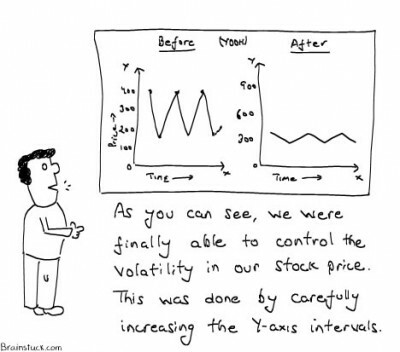 they were just a freak trades, as the price correction took place soon after. 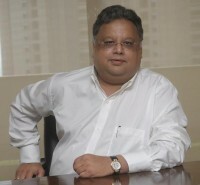 Rakesh Jhunjhunwala picked up 12 lakh shares of Development Credit Bank (DCB) in April 2011. Since then the shares of the mid sized bank have held ground even in weak market conditions. 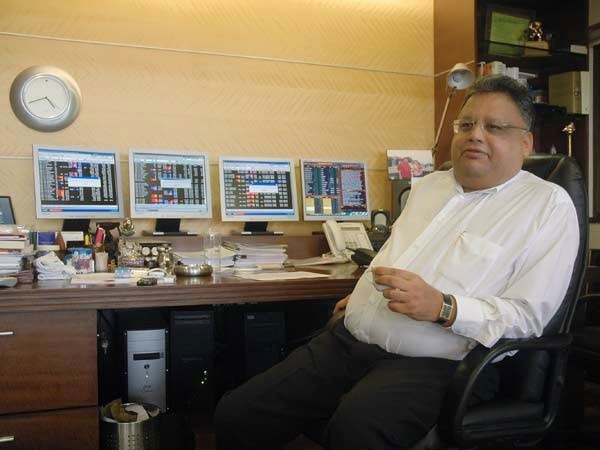 Since then, every spurt in the stock has been attributed to Jhunjhunwala 's stake in the bank. And, thanks to such speculation, DCB shares have gained almost 25% in the past three months. But, latest official data does not support this speculation, as Jhunjhunwala's name was not part of the top public shareholders list on June 30 on the BSE. Bajaj Auto seems to have finally decided to play the volumes game. First quarter numbers show a distinct shift in Bajaj Auto’s product mix, which has eaten into the company’s operating margins. With the launch of Bajaj Discover 125 this April, analysts say the company is strengthening its presence in the very competitive executive segment, where margins are lower than the sporty one. No wonder, earnings before interest, taxes, depreciation and amortisation margin declined 150 basis points sequentially and 90 basis points year-on-year to 19.1 per cent. Tata Consultancy Services (TCS), reported 26.7% rise in its consolidated net profit at Rs 2,415 crore and revenue growth of 31.4% to Rs 10,797 crore for the first quarter ended June 30, 2011. Sequentially the profit has declined as the company had posted Rs 2,623 crore profit in Q4 of fiscal year 2011. There was a block deal of 1.15 crore Idea Cellular shares on NSE at Rs 80 per share in today's trade. The stock is up nearly 3% and is trading at 81 levels in the morning. UBS is very positive on RIL and recommends a buy at the current market price for a target of Rs. 1170 in one year time frame. Infosys Q1 consolidated net profit stood at Rs 1,720 crore, down 5.4% as compared to Rs 1,818 crore in previous quarter. The company’s revenues rose 3.2% in the quarter to Rs 7,485 crore. On a full year basis, net profit rose 15.72% from Rs 1,488 crore and revenues rose 21% from Rs 6,198 crore in the year-ago period. 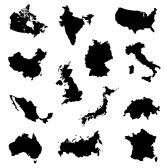 Average 1 year bank deposit rates across different countries (ascending order). Telecom stocks are back to life after being dead for almost 2 years. Amid all the 2G controversies and fear of intense competition, bigger players have emerged stronger and this is getting reflected in the prices of the stocks of bigger listed telecom players like Bharti and Idea. RCom being directly accused in 2G scam it has not been able to perform in line with the sector. Idea cellular today touched Rs. 82.55 (52 week high) in intraday before closing at Rs. 81.35. Bharti Airtel touched an intraday high of Rs. 409.45 (52 week high) before closing at Rs. 398.10. HDFC Q1 net profit up 21% at Rs 844 cr over previous fiscal. The company's total income rose to Rs 3,821.60 crore during Q1 2011-12, from Rs 2,801.95 crore in the corresponding period last fiscal. The loan disbursement during the quarter grew by 20% while the lender's loan book increased to Rs 1,24,168 crore, from Rs 1,01,625 crore at the end of June 30, 2010. The Union government is expected to discuss sugar decontrol at a meeting in the next 8-10 days, the newspaper report suggests, quoting agriculture minister Sharad Pawar. With decontrol, the government will give up its control over the sector and sugar prices will be determined by the market forces. 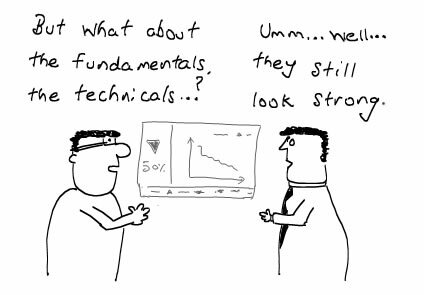 With market movement indecisive and a sharp rally that has occurred in past few trading session it seems difficult to bet on any single stock for quick trading flip. We at InvestorZclub believe that instead of betting on single stock one can trade in the options market to get some return on your existing stocks.